Living with Parkinson’s disease can be challenging. But there are ways to help improve your quality of life. At FirstLight® Home Care, we understand the impact Parkinson’s Disease has on patients and their loved ones. Tremors, stiffness, loss of balance, and depression can lead to isolation and poor quality of life. Discovering the right medications, complementary therapies and support are ways to stay independent and even enhance your quality of life. April is Parkinson’s Awareness month. There are more than one million Americans living with Parkinson’s disease, and most are doing everything they can to proactively affect the course of their disease in order to live a full, happy and healthy life. Eat Right: The Parkinson’s Foundation recommends that patients maintain a healthy diet. Most people living with the disease should eat a variety of whole grains, vegetables, fruits, milk and dairy products, and protein-rich foods such as meat and beans. They also should consider including nuts, olive oil, fish, and eggs in their diet for their beneficial fats. Be Active: Regular moderate exercise can improve emotional well-being. Include physical activity in your everyday routine to improve Parkinson’s Disease symptoms and mental health. Find something you love to do and stick with it, whether it’s walking, playing golf, bicycling or swimming. Build Your Network: The support of family and friends are important to your health and well-being. It’s also important to develop a bigger aid network. As the disease progresses, transportation, meal preparation and other activities of daily living can become overwhelming for the patient and the family members who are caring for them. Finding the right non-medical home care like FirstLight, with our professional caregivers who provide Personal Care and Companion Care services to help with day-to-day needs, allows those suffering from the disease to live more independently. Help with personal hygiene, medication reminders, light housekeeping, walking, and mobility can give family members peace of mind. Rest: It is important to sleep at least 8 hours per night, and consider taking one to two naps during the day to stay refreshed. Consult your doctor if symptoms such as restless leg syndrome, rapid eye movement (REM)-behavior disorder, tremor or difficulty turning in bed at night interfere with your ability to sleep. Manage Stress: Anxiety and depression are part of the Parkinson’s picture. Stress worsens the symptoms of Parkinson’s disease. Learning to manage your stress can help control your symptoms, and keeping a positive attitude can go a long way. Socialize with friends and family; engage in a hobby you enjoy; try yoga or meditation techniques; and stay active. 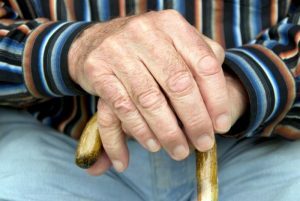 To learn more about the early signs of Parkinson’s Disease, check out our blog from earlier this month: Early Signs of Parkinson’s Disease. Contact us today to learn more about our personal care and companion care services in your area, and to see how we can help. Sources: Parkinson’s Foundation, Health Talk, and American Parkinson Disease Association.